Our dog-friendly hotel in Paso Robles welcomes your whole family—man’s best friend included. We also have an entirely dog-free floor. Check out our policies page for more information. 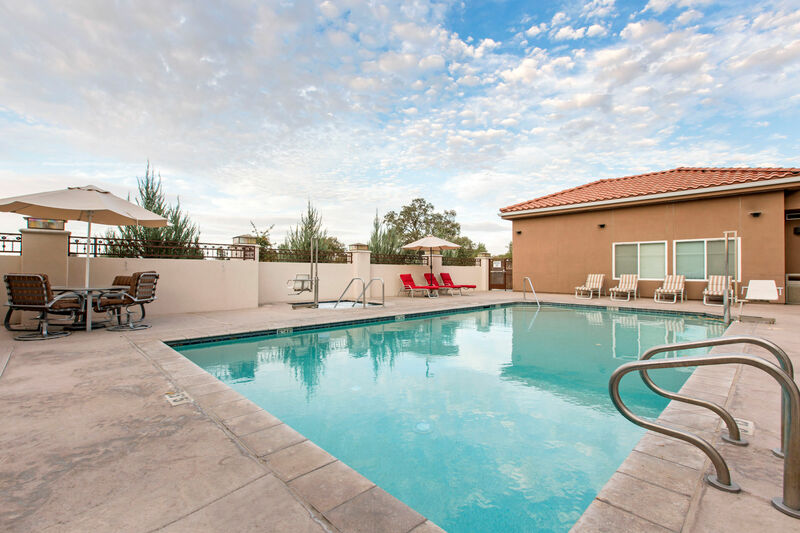 If you’re traveling with your dog or without, we offer amenities and services to make your stay in Paso Robles convenient and memorable. We are continuously upgrading and improving our services, from our local wine selection, to our new green improvements! We have recently installed brand-new SemaConnect Electric Vehicle Chargers, so electric vehicles can charge right outside our hotel door. Passing through Paso Robles and looking for a charging station? Non-guests can use our charging station for a small fee of $15. 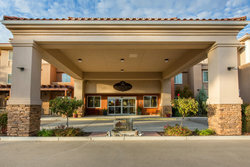 Our dog-friendly hotel in Paso Robles looks forward to providing you with all the amenities you need for easy travels. Learn more about them below! Our daily breakfast buffet at Indulge Restaurant includes a rotating menu of hot and cold items. 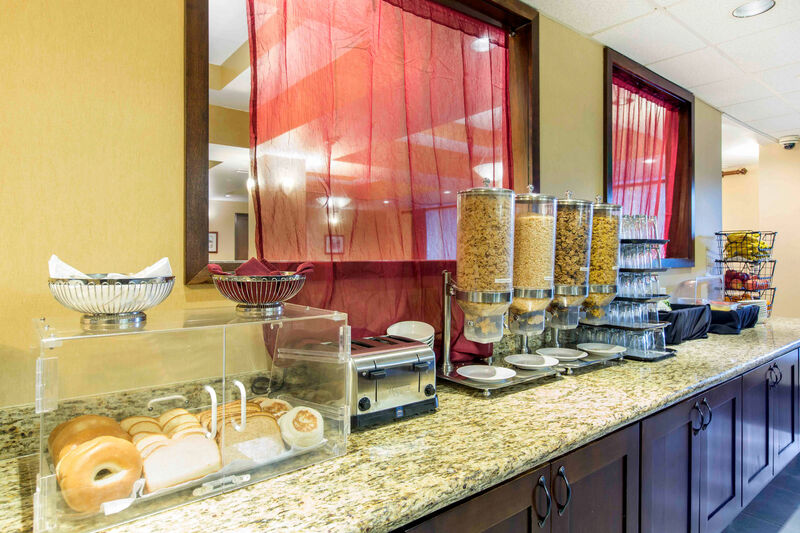 Choose from eggs, pastries, fruit, and more. Dive into our hotel’s seasonal pool and enjoy some of our year-round sunshine by lounging in one of our poolside chairs. Our pool is heated and closed from November to February. In the fitness center you have access to free weights, cable machine, yoga mats, stationary bike, elliptical and treadmills. We have everything you need to help you cool off or keep up your daily fitness routine! “Wine” down at our lobby bar. 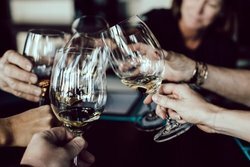 Paso Robles restaurants benefit from our area’s green rolling hills, amazing produce, and world-class wine. At The Oaks Hotel & Suites, we are proud to be part of this grand tradition. Experience a wide selection of wine grown in nearby fields, locally brewed craft beer, or a handcrafted cocktail. Delight in savory small plates from our bar menu. After all the wineries close, the lobby bar is where the party continues! Park your car in our on-site parking. We also have six electric vehicle charging stations. 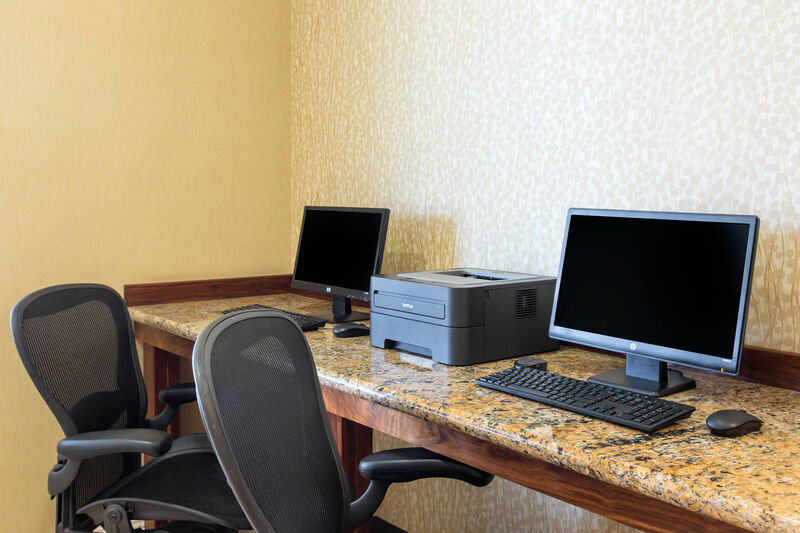 Our business center has a computer and printing services. Keep in touch back home, or with the office! 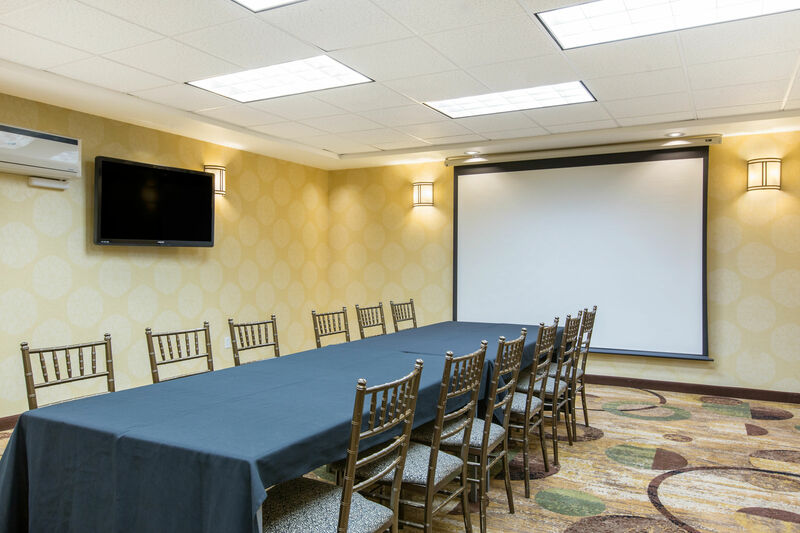 Book our 500 square feet event space for a business meeting or social gathering. The room includes a built-in projector and all the A/V equipment you need for a slideshow or presentation. 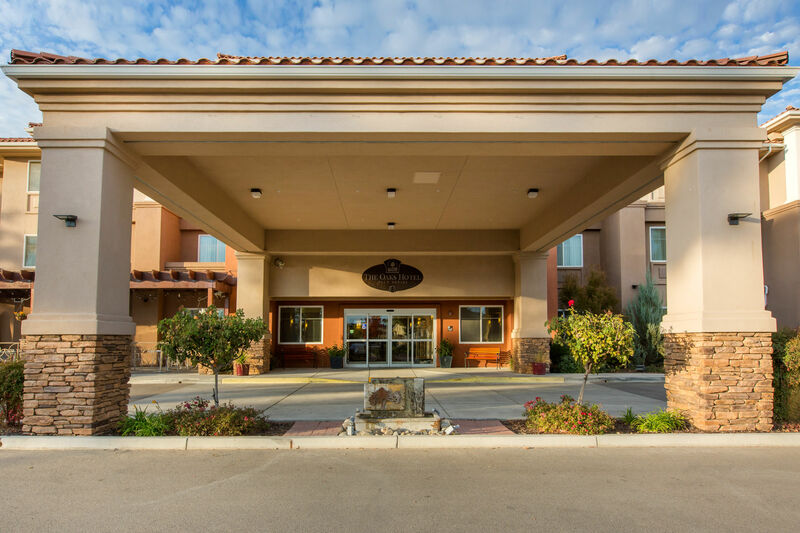 Book your stay at our dog-friendly hotel in Paso Robles and enjoy all of the well-appointed amenities included with your reservation!